You know you are doing a good job when your brand is the first to come to mind when users think about the whole product category. In this particular case, it doesn't matter that the users are so few they're probably on first name terms with each other. Vertu is the biggest name in luxury phones, spreading over a huge price range. From the relatively modest Constellation series, all the way to the diamond-encrusted Signature, the Nokia subsidiary is virtually unchallenged. Now, this sounds hard to believe but it only gets real scary well above the 100K mark. Using the know-how of the largest phone manufacturer gives Vertu an advantage, but it's their handcrafted bodywork and paramount build quality that earned them their name. After all, it's not the S40 interface that sells these phones. It's things like ruby-bearing keypads and sapphire screens. The Vertu handsets were never famous for their specs. The Constellation lineup is only as good as a 50-dollar handset featurewise. The best you can hope for is a 3.2 megapixel camera on the Ascent Ti or Wi-Fi on the Signature series. An important advantage for the company is that it's been around for more than a decade now, which is more than enough to build a reputation as the undisputed leader in luxury phones. The wide range of offerings also helps here. 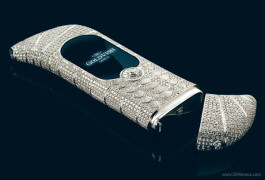 The cheapest Vertu goes for under 4000 euro, while the Signature diamond costs over 65000. There are of course limited edition Vertu handsets like the Signature Cobra which will set you back a quarter of a million. No one shopping for phones to show off their wealth will have to worry about going over or under their budget - Vertu seem to have a cellphone for all walks of life. 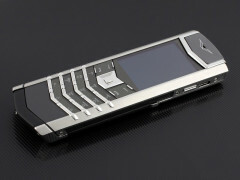 So all in all, Vertu is the maker of choice if you want a phone to impress onlookers. Popular and easily identifiable, the British-born handsets scream high-quality and leave no doubt about who's in charge. The last but one chapter of this review is dedicated to the most expensive and rare phones out there. You know the ones that cost a fortune and a half, and that you're not sure you'll be able to get even if you had that kind of cash. When there are no more than a hundred units in the world (and in most cases there are a lot fewer) you just can't walk in a store and buy one of those. The most prominent company in this exclusive segment recently is probably the Canada-based Mobiado. The company prides itself in quite a lot of firsts in the luxury segment. 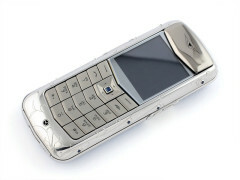 Theirs is the Professional, which was the first first phone CNC machined from solid aircraft aluminum. Last year things were taken to a whole new level with the Grand 350 Pioneer, which has its back cover chunked out of a real piece of meteorite. Prices in this exclusive range from a layman's are-you-kidding-me to drop-dead expensive and the number of units for each model is usually under fifty. An added bonus is that Mobiado phones are among the few that deliver modern specs. Perhaps it's because they base their creations on real phones. The other manufacturer of ridiculously expensive piece-of-art phones that makes it in the news more than once every couple of years is Gresso. Famed for their Roman numeral keypads, African Blackwood bodies and gold on the keys and screws, the Gresso handsets are usually cheaper than the Mobiado line. They even sometimes venture in the Vertu territory with sub-10k price tags. That of course excludes the Gresso Luxor Las Vegas Jackpot (How do you do), which stretches the imagination with a million-dollar price tag. 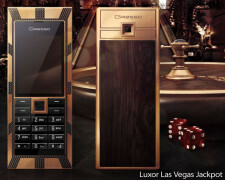 For that kind of cash you are getting 45.5 K of black diamonds and 200-year old African blackwood. 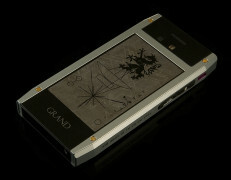 Plus the 12-mm thin frame is made of 180 grams of gold, while the keypad is pure sapphire. The last name worth mentioning here is of the Swiss company that created the other million-dollar phone. Remember the "Le Million" PIECE UNIQUE? Of course you do - even if you don't know the actual name, it's easily the most recognizable fashion odd-ball phone in the world. GoldVish, the maker of this exquisite piece of cellphone art, never actually produced it beyond the prototype we all know. 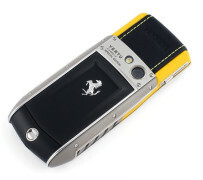 Hardly a manly phone, the "Le Million" Piece Unique is perhaps better suited for the fairer part of our audience. 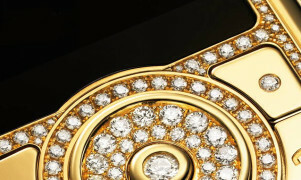 Versace may join the party too but we aren't sure how their phone will stack up in terms of affordability. It may be in the same category as Armani's or Prada's phones, but it could also be right there next to some of the insanely expensive handsets ever made. We'll have to wait to learn the details. 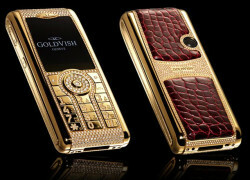 For now Goldvish is still relying on their Illusion series of gold and crocodile skin diamond-encrusted handsets. With prices ranging from 21 000 and 125 000 euro depending on the amount of diamonds on the front, the Illusion handsets are less preoccupied with design than you would guess. Why bother when the whole thing is made of pure gold. And their interface has nothing to do with the modern standards of user-friendliness (as we came to learn first-hand not that long ago). Plus the Illusion series earn extra points for the exchangeable croc-skin backs. Those can be user-replaced so you get several color combos to match your suit. Or underwear. We don't care.